This is not a happy story, but one that will introduce the reader to some facts of life. 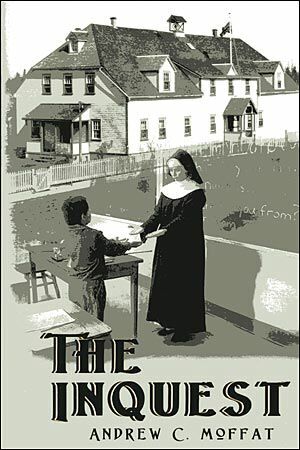 The basis of the Residential School System was set up by the Federal Government in an attempt to wipe out aboriginal society in a conversion to “the White Man’s way”! The tale is a comparison between two societies, one passive and the other domineering. The road down which a happy and intelligent native boy is taken and which eventually leads to him committing suicide. Don’t look for humour or pathos, but rather an education of what transpired within our own Country — and that was instigated and enforced by those whom we elected. Are they a reflection of what you would wish in this social conflict? We are too quick to criticize others! The Coroner was in a bind, for it now appeared that identifying the “Cause of Death” was not going to be a simple case of drunkenness or the use of drugs or recent physical abuse… this went much deeper and clearly extended over many previous years. It also involved a great many individuals and organizations — and levels of Government! It would seem that Indian & Northern Affairs as well as the RCMP might had played an important part in the background leading to this death. And how much of a role did the Residential School play? The fact that Mrs. Yellowbird had brought the Residential School into the picture would now mean that channel would now have to be investigated as well.